The original Everybody’s Gotta Learn Sometime was by the Korgis, a group formed out of the remains of Stackridge, a 1970s prog band. The Korgis, then, in 1980 were a little too old, a little too bald, a little too paunchy for their new wave suits. They were far from the only group shedding their old fanbases and trading in student union worship for mainstream acceptance (at this point, Gabriel and Collins were already huge stars, Fripp was producing Daryl Hall and playing guitar for Bowie and Talking Heads; in two years Asia would have the best-selling album of the year). But still, even in times that were sympathetic to their cause, the Korgis were made to be forgotten. Everybody’s Gotta Learn Sometime hit big (number 5 in the UK, number 18 in the US) and still gets radio play, but no one remembers who made it, and everyone has their own favourite version, often not the original. The song, sounding like an alternate path John Lennon may have gone down for Double Fantasy if he hadn’t consciously turned his back on the future to retreat into his own past (Just Like Starting Over, with its Sun slapback, is nothing more than pastiche), is ideal for cover versions. It’s been done as breakbeat house by Baby D, as adult-contemporary dance-pop by Yazz and by Italian rock singer Zucchero (a typically over-the-top reading). The song is almost a blank canvas. Beck cut it with Jon Brion for 2004’s Eternal Sunshine of the Spotless Mind. It starts out with him alone at the electric piano, singing in his deepest, most mournful register. The bass and electric guitars slide in almost unnoticed, joined by a drummer at the first chorus. The drums are muffled, damped, it’s very seventies. All the bells and whistles of the Korgis’ version (the delays and echoes on the piano and voice, the electric sitar playing the riff at the end of the chorus, the icy synths that play the three-note hook in the chorus) are gone: we get strings instead. The prankster Beck of 10 years before is nowhere to be seen. He’s playing the straightest of bats. He sounds invested in what he’s singing. 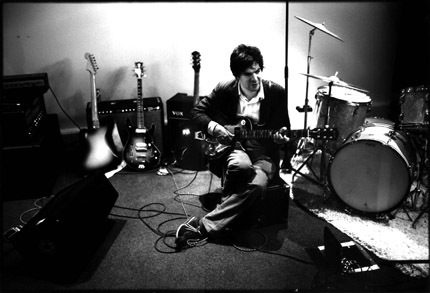 Jon Brion, it has to be said, lets the side down a little bit. Listening to this, it’s small wonder that Aimee Mann and Fiona Apple had ended their partnerships with him by this time – he’s on autopilot. The song’s said all it really has to say by around 2.30. But instead of wrapping things up, we get three minutes of The Jon Brion Show: every analogue keyboard, every guitar pedal, every fairground noise in his collection is pulled out of the cupboard and strewn over the studio floor. There’s not an idea here he hasn’t already worked over past the point of diminishing returns on Mann’s Bachelor No.2 and Apple’s When the Pawn… A carnival-esque soundworld was not what was called for here. Some attention to the mood of the song proper would have been infinitely more desirable. I’m sure Beck had some input into the long instrumental coda, and he’d sung the song so well that that the record finishes with plenty of money in the bank. Perhaps, too, if you hadn’t heard Jon Brion’s other work, you could find his work here charming, or moving, or compelling. I find it a little bit redundant; it takes over and spoils the mood. 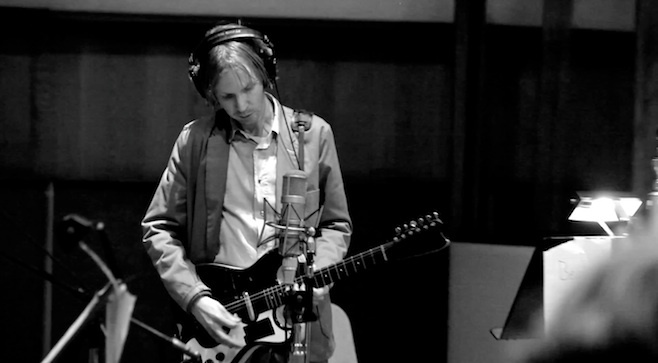 Beck’s reading of the song, though, is excellent. This entry was posted in Music and tagged 1970s, Aimee Mann, analogue keyboard, arrangements that take over, Asia, Baby D, Bachelor No. 2, Beck, breakbeat, Daryl Hall, David Bowie, Double Fantasy, electric sitar, Eternal Sunshine of the Spotless Mind, Everybody’s Gotta Learn Sometime, fairground noises, Fiona Apple, guitar pedals, house, John Lennon, Jon Brion, new wave, Peter Gabriel, Phil Collins, Prog, prog goes pop, Robert Fripp, Stackridge, Sun Records echo, synth, Talking Heads, the Korgis, Vanessa Carlton, When the Pawn..., Yazz, Zucchero on May 8, 2014 by rossjpalmer.